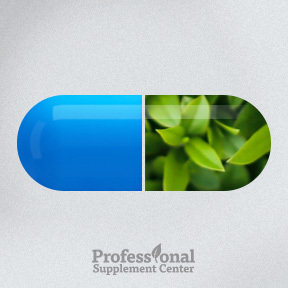 Which is Better Synthetic or Natural Supplements? 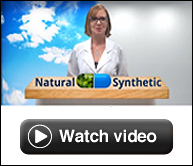 Posted on April 1, 2015 | Comments Off on Which is Better Synthetic or Natural Supplements? Supplements are meant to benefit overall health and complement a healthy and varied whole food diet. Scientific evidence also shows that supplements can address a micronutrient deficiency, provide immune support, aid in managing a health condition, decrease the risk of birth defects, keep bones and joints healthy and strong, and help prevent or decrease the risk of developing degenerative disease. Also known as nutraceuticals or nutriments, supplements must be fully digested, assimilated and utilized in order to be optimally absorbed. Supplement ingredients may be synthetically produced in a laboratory or derived from natural sources. While both provide nutrients that can help prevent or treat deficiencies and other conditions, each may have its own distinct advantages. USP (United States Pharmacopeia) Isolated vitamins are made from isolated synthetic substances, which are crystalline in structure. Food based vitamins means that concentrated foods are added to the formula along with synthetic vitamins to prevent stomach upset and aid in assimilation. Whole food vitamins are derived solely from foods and often contain natural co-factors, enzymes and phytonutrients. In general, synthetic and natural vitamins appear to have identical molecular structure. Both can serve as functional nutrient sources and both may be considered clinically effective. As such, they are expected to have similar responses in the body, although in some cases one may outperform the other. Vitamin E in the natural form of d-alpha-tocopherol may be more beneficial to the body, while synthetic ascorbic acid and naturally occurring vitamin C are chemically identical with no known differences in their biological activity. One very important factor is the bioavailability of the nutrients and their synergistic effects. Isolated synthetic vitamins often have cofactors or other nutrients added that assist in the assimilation and utilization of the nutrient. Why synthetic? In the early 1900’s, scientific studies showed that certain foods were protective against ill health. This led to the search for the exact structure of the compounds and the isolated nutrients contained within the foods. Scientists learned the identity and function of vitamins and minerals along with their chemical structure, which then allowed for large scale synthesis of these nutrients. USP grade scientifically formulated synthetic vitamins are manufactured according to rigid standards and offer the advantage of guaranteed purity, shelf stability and dose consistency. This can be especially helpful in cases of deficiencies. Higher potencies in a smaller tablet are more easily reached with a synthetic formula. Why natural? All supplements undergo processing, including natural vitamins. Nutrients are generally prepared from high quality raw materials and are concentrated from their natural source as carefully as possible. During processing, manufacturers are likely to avoid extreme heat and artificial ingredients, binders and fillers. Natural vitamins may contain a lower potency of vitamin concentrations as compared to synthetic vitamins. As the “natural” label is not regulated, vitamins labeled natural may also contain synthetic forms of some of the ingredients. This is the norm rather than the exception. Food based vitamins may use yeast or algae as a base, thus enabling the natural claim, before synthetic vitamins are added. Whole food vitamins are derived solely from foods and contain the enzymes, co-enzymes, cofactors and other nutrients found naturally in food, potentially providing greater nutritional value and benefit to the body. They may also require less energy to digest and absorb. This may be helpful for those whose energy levels are already depleted or those with sensitive digestive systems. Whole food vitamins can be far more costly to manufacture and many require more tablets or capsules to achieve the desired dosage. In general, mass market synthetic vitamins, such as found in chain stores, may be poorly absorbed due to fillers and binders that hamper the release of the nutrients. This can be avoided by buying trusted brands from reputable manufacturers who formulate products with highly bioavailable nutrients. Many quality manufacturers have developed their own processes that eliminate the need for binders or fillers, which are largely used for ease of manufacturing. Whether you opt for natural, whole food or synthetic vitamins is really a matter of personal choice. Quality is most important when selecting vitamins and nutrients. When making your choice, the list of ingredients and their amounts is likely one of the most important aspects. Equally important is what the supplement does not contain. It may help to remember that all vitamins and minerals are chemical in structure. Synthetically made vitamins and many other nutrients are either identical to their natural counterparts or are converted by the body to the natural form. In many cases where there is a deficiency or health concern, synthetic vitamins may be the place to start as you know the exact amount of nutrients contained in the supplement. When health improves or there is no longer a deficiency, natural or whole food vitamins may then be administered to support and maintain wellness. This entry was posted in Home and tagged Synthetic or Natural Supplements. Bookmark the permalink.